How much does it cost to get your house painted? Once you have a better understanding of why a paint job cost the amount it does, it’s much easier to negotiate and comprehend a quote. All the research will be worth it when you have a perfect finish for years to come. With help from the APMG Painting team, you can determine the amount you should pay for painting your home or office. When you’re looking to have your space painted, make sure you research and evaluate your painting project. How many surfaces are you looking to paint? What type of walls do you have and what top coat would suit them? Are you looking for a glossy finish, neutral tones or want a feature wall? Don’t just find what colours work with you and your space, find what paint works best with your specific surfaces. What do quotes usually cover? The price of a professional painter will vary depending on a lot of factors. Most painters will have a standard rate per square metre, and will either quote you this amount, or if the job is bigger, the overall price. A quoted painting price will generally cover a single undercoat as well as two finishing coats, however if you want anything extra like sponge effects or multiple colours in one room, this can always be negotiated. Exterior surface prices will vary greatly, depending on the texture, obstacles in the way and how simple the surface is to get to. Does experience make a difference? Have you asked your painters if they’re certified? An insured and expert painter may cost a little bit more, but insurance is a small price to pay for peace of mind. 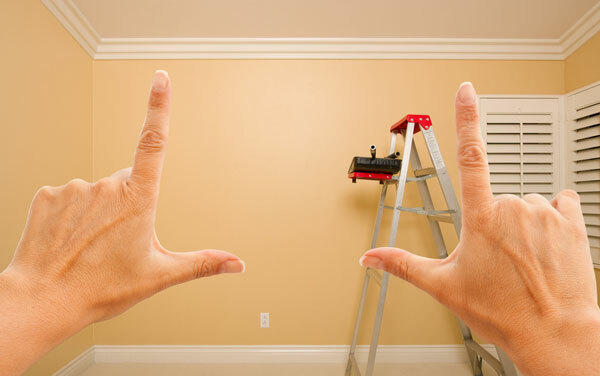 If you hire an unlicensed painter, you won’t be covered for any damage that may occur during the painting process. Another reason could do with the painters expertise. Ask how long they’ve been in the industry for and what they can do. The longer they’ve been painting, the more skills and knowledge they have and, generally, the better the finished product will be. Prices will always vary depending on where you live, how many surfaces need painting and the kind of paint you want applied. One of the best ways to determine the cost is to shop around. Contact a few painting companies and see how much they’d charge. If you notice a big difference in each quote, find out why that is. Communication is the key to getting the best value for your painting job. No matter how big or small the job is, AMPG Painting is committed to producing outstanding results. To find out more or to arrange a quote, please get in touch with us today by calling 0450 904 461 or sending an email to info@apmgpainting.com.au.